The weather report prophesied cloudy skies and a chance of rain, not really the perfect start to my first day of winter break. I decided instead of risking the treacherous drive into my favorite spot, I would check out a new area that was more accessible and see what it held. Rain dotted my windshield, and I fought the urge to just turn around and go back to bed. In the end, I am pleased that I persevered, because as I put the truck in park the sprinkling stopped. I donned my vest, marked the coordinates of my truck, checked my water supply, and set out. 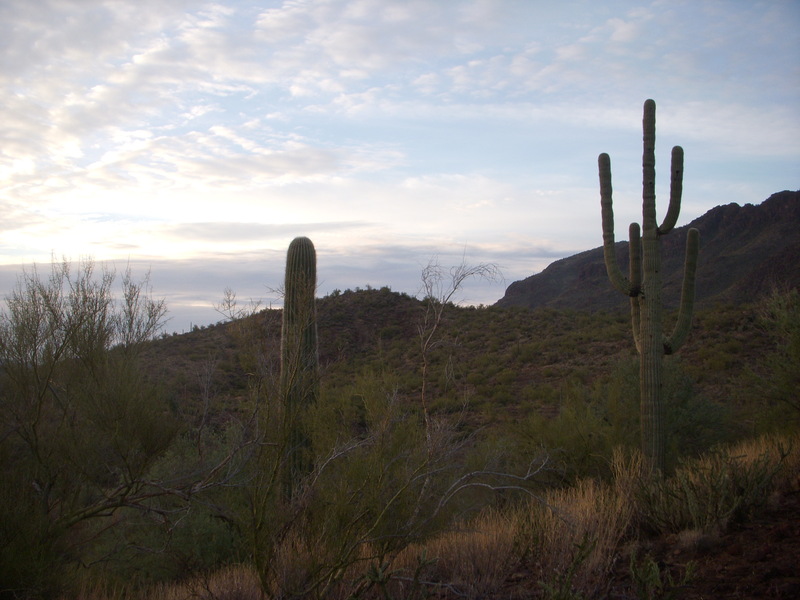 The morning started eerily quiet and I walked about a mile before I heard the Gambel’s waking up. The walking is never easy nor quiet on the crunchy desert floor, but the recent rain kept my footfalls relatively quiet. Even though this area is more traveled than a couple of my other spots, there was no shortage of birds. They were a little spooky and it took great care in getting close enough for shooting range. I ended up with three birds in the game vest, but I rolled two more that I searched high and low for but could not locate. Credit must be given to the Gambel’s quail. They are some of the most rugged birds that even when downed never quit. Usually after I have a bird on the ground, I waste no time in moving right in for many times even though mortally wounded, they still have enough kick to flop or run into a crevice or into a bush, never to be seen again. While after the quail, other wildlife was in abundance. I jumped 3 different herds of javelina and upset a wild burro with my bird hunting. The javelina scattered as they usually do, but it was nice to see several piglets in the mix. 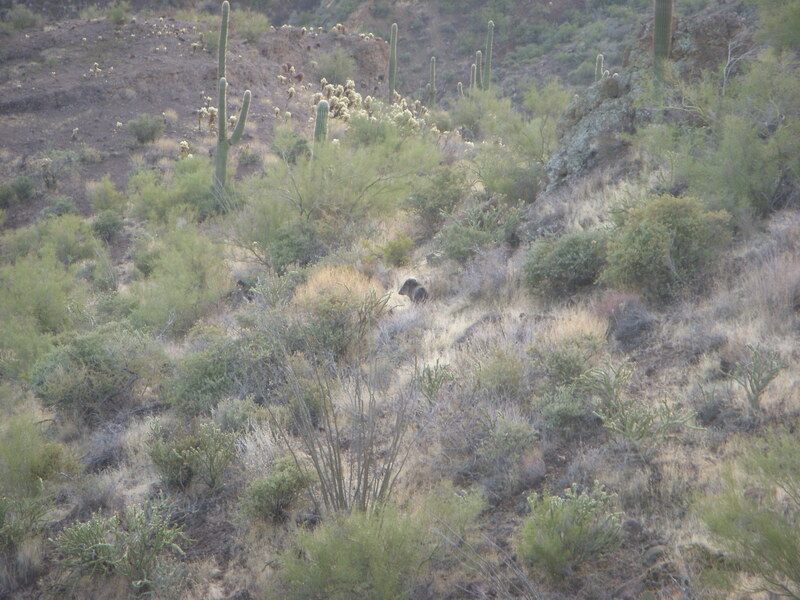 Unfortunately, my January javelina tag is in another unit or I would take advantage of hunting pigs this close to town. At this point, I have a nice batch of birds in the freezer that will make a perfect feast, once a few more are added to their ranks. 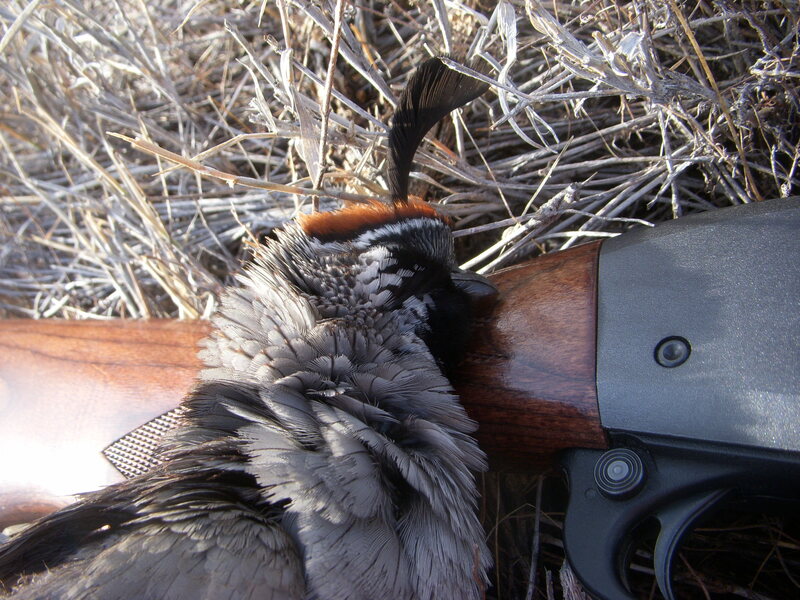 Hunting Gambel’s quail is extremely rewarding even when the amount of birds taken home is small. I cannot help but admire their beauty and tenacity for survival in such a harsh climate. With this nice break from teaching, I am hoping to get into some fish on the Rim, but I will be back chasing some birds shortly. Sounds like a good day out. I can recall lots of days when I fought the urge to go back to bed and it ended up being a pretty good day. I always enjoy seeing the landscape there. 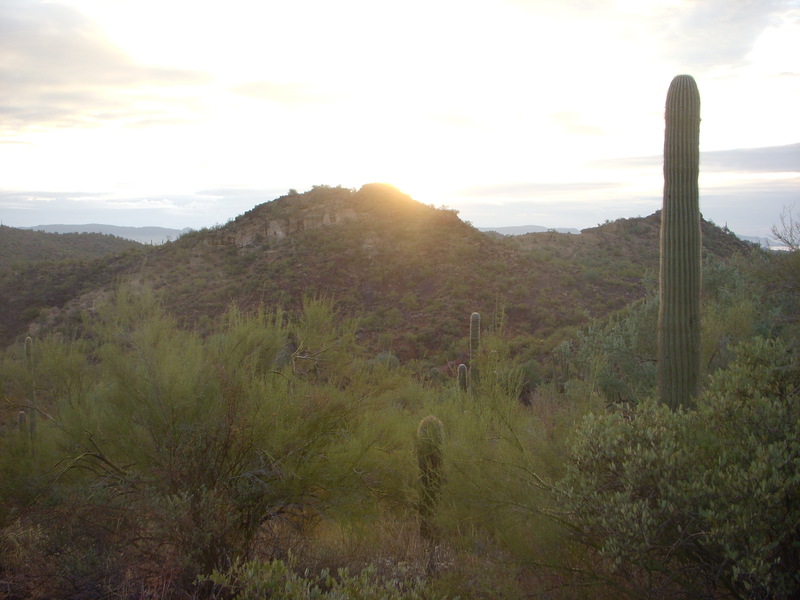 It’s so far removed from the woods of PA and some of those cactus look painful! Funny you should make the comment about the cactus. There is not a hunt that goes by where I am not getting stuck with something. 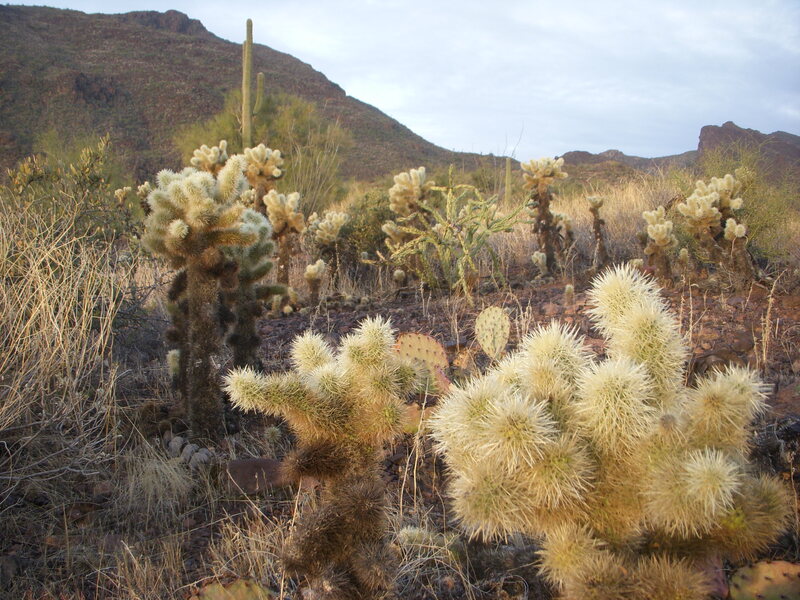 Just about everything in our desert is pokey and out to hurt you. Makes for interesting hikes and hunts. Thanks again for the kind words. They look like beautiful birds, is there much meat on them? Also do you hang them for a few days after you clean them? They are really unique looking birds and the males have some stunning colors. There is not a whole lot of meat on them, maybe about chicken wings worth. I generally field dress them and pack the breasts up. Once I get home I clean them thoroughly again and, if I have enough and am hungry, I will grill them up on the spot. If I am saving them, they keep well in the freezer. My favorite way to prepare them is with a garlic clove tucked in the breast and then wrapped in bacon. Grill till done and enjoy. I have never thought about hanging them. It seems it would be a little too warm here. Everything goes in the fridge or freezer. Wrapped in bacon sounds likes a nice meal. Do you get a good selection of wild mushrooms in Autumn to go with it….I mean Fall. Not too many wild mushrooms in my immediate neck of the woods although maybe in the north country there could be some edible fungi growing. That’s actually an interesting question that I would have to look into. In my opinion everything is better with bacon.